Strong, durable Cat C9.3 ACERT engine platform with U.S. EPA Tier 2/EU Stage II exhaust emission solution. 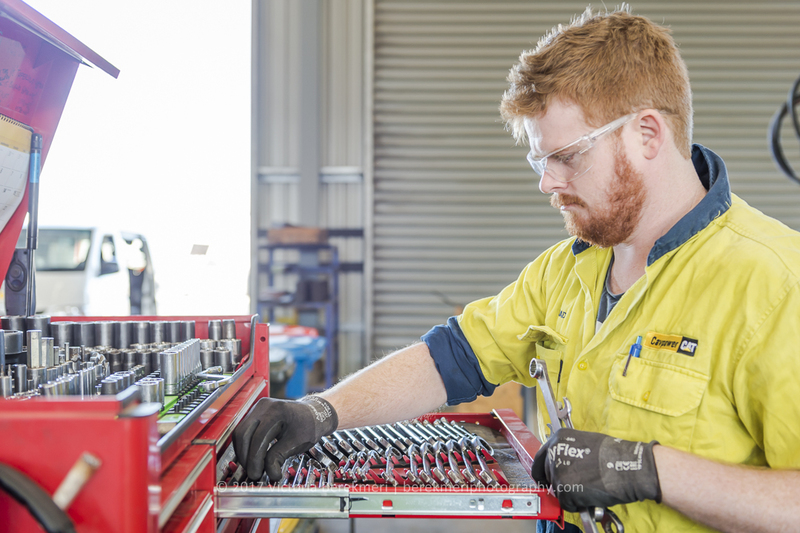 Advanced Productivity Electronic Control Strategy (APECS) delivers a smooth shifting transmission, improving acceleration with higher productivity. 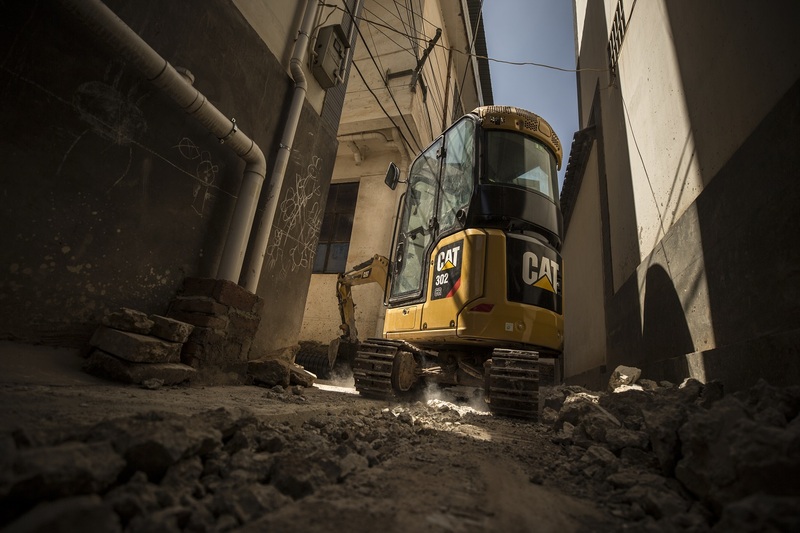 The Cat C9.3 ACERT engine continues the evolutionary, incremental improvements that provide breakthrough engine technology built on systems and components developed by Caterpillar with proven reliability. 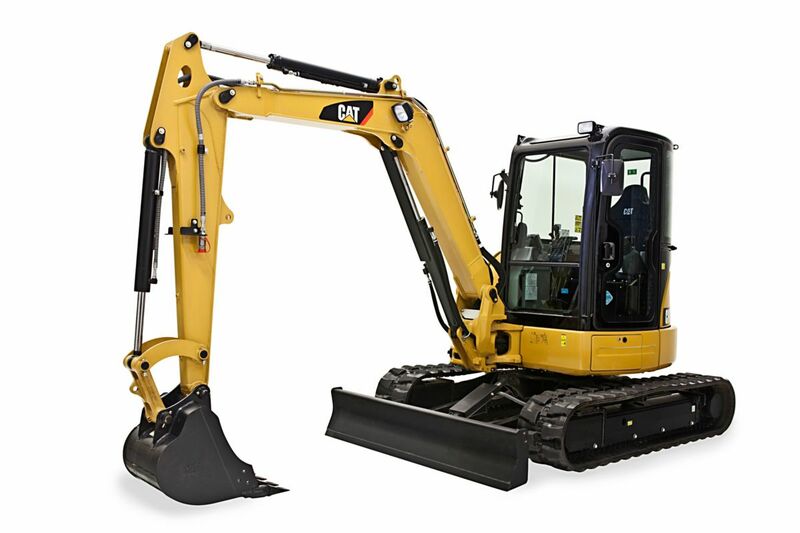 The Cat C9.3 ACERT engine utilizes the common rail, high-pressure, electronic metering system to the injectors. The Cat TH31 six-speed forward one-speed reverse Electronic Clutch Pressure Controlled (ECPC) transmission featuring Advanced Productivity Electronics Control Strategy (APECS) delivers smooth shifting with strong acceleration and high productivity. - A speed hold/limiting function allows the machine speed to be limited in one km/h or one mph steps to conform to site speed restrictions. - Critical gearshifts maintain direct drive lock-up, and eliminate dropping into converter drive. This maintains ground speed during shifts on grades. - The transmission automatically modifies shift points to best suit operating conditions. Integral transmission retarder with a high power density design. Due to its compact size, the unit quickly fills with oil, providing more retarding power and fast response times. Retarding levels are automatically reduced on lesser grades in lower gears. Locks tractor and trailer drive systems together and modifies torque distribution for excellent traction in poor underfoot conditions and on grades. Operated by a switch located at the footrest. Locks axle differentials, acting in unison with the inter-axle differential lock when the foot switch is actuated and the dash-mounted switch is selected. The rear suspension features a walking beam geometry with Caterpillar designed, long life, rear suspension mounts, which provide a reliable and stable ride for excellent load retention. The 725C features a large two-person cab, offering comfortable working space for both the operator and passenger with large storage compartments. The 730C, 730C EJ, 735B, 740B and 740B EJ articulated trucks use the same spacious cab design. The controls and layout of the cab are designed to make it as easy to operate as your car. Quick, easy to read and simple to operate, the controls and gauges on the 725C allow the operator to concentrate on production. The integrated wrap-around dash puts all controls within easy reach of the operator. Featuring LED illuminated rocker switches for the dash dimmer, rear wash wiper, hazard warning, head lamp, work lamp, heated mirrors (optional), diff-lock, secondary steer, heated seat (optional), machine security system (optional), A/C and cigar lighter. The Color Multi-Purpose Display (CMPD) unit incorporates the messenger and rearview display. The cab provides an automotive feel with the industrial strength you would expect from Caterpillar. The 725C is designed to maximize efficiency and productivity while conserving natural resources. 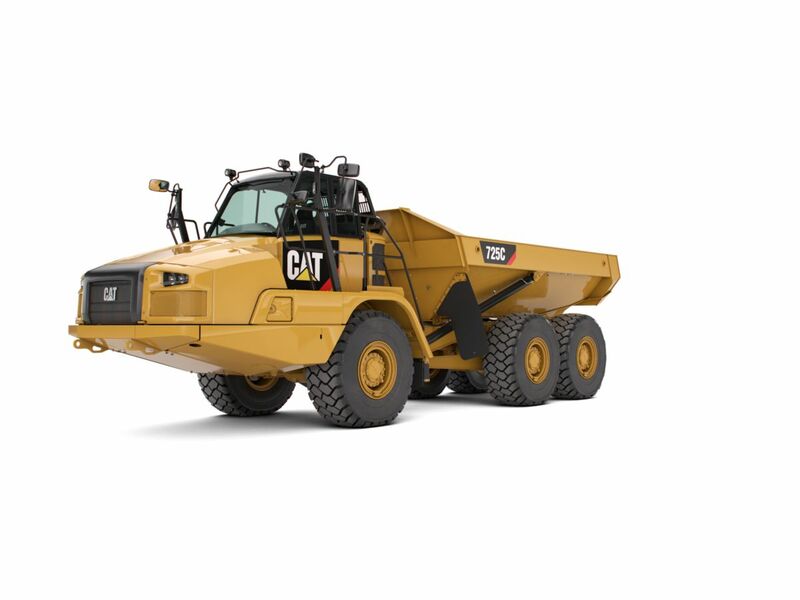 The Cat C9.3 ACERT engine incorporating U.S. EPA Tier 2 Final/EU Stage II emission requirements. The Caterpillar Design, Manufacturing, Assembly and Test Site at Peterlee in England recycle 98% of all waste produced with zero waste to landfill. The 725C is manufactured to be rebuilt and remanufactured to reduce waste and replacement costs. 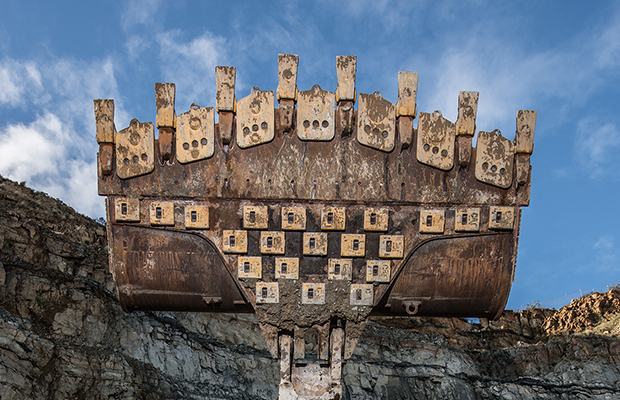 The 725C is an efficient, productive machine that is designed to conserve our natural resources for generations ahead.